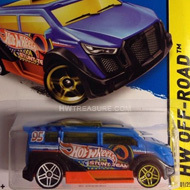 53/250 is part of the HW City series and the 2014 Treasure Hunt set. 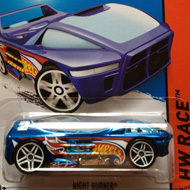 This killer car features a blue body with opaque orange windshield eyes and the low production symbol on the rear. It has black Open-Hole 5-spoke wheels with copper rims, and a metal base painted yellow. The Fangster made its debut in the Speed Demons series in 1986. 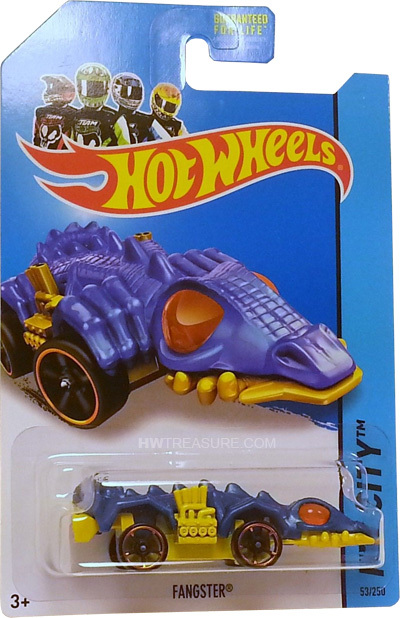 Although it has been around for decades, it’s only been released a handful of times before appearing as a T-Hunt.